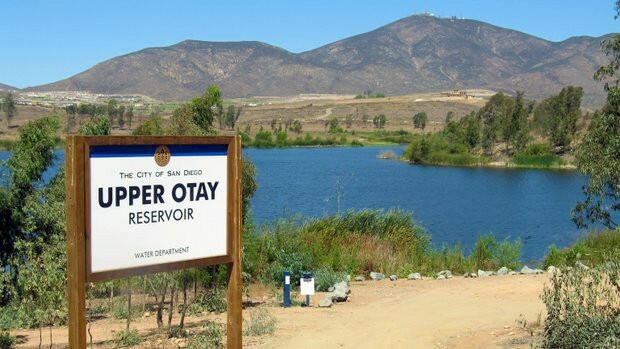 Upper Otay Lake is a tiny 20 acre lake in Chula Vista, 20 miles southeast of downtown San Diego. As the name suggests, it sits just above the larger and more popular Lower Otay Lake. Upper Otay is one of only two lakes (Barrett the other) that has a strict catch and release fishing program for all species. Like Barrett, only artificial, barbless lures are allowed. There is no live or dead bait allowed of any kind. It offers fishing for warmwater species; black crappie, bluegill, carp, channel catfish and largemouth bass. Boats are not allowed, so the most effective way to fish Upper Otay is with a float tube. 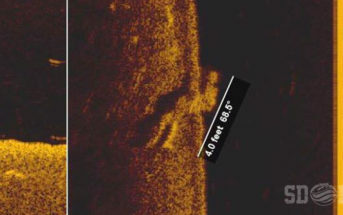 Shore fishing is allowed, but access is limited. Upper Otay is located at 12161 Otay Lakes Road in Chula Vista. The dam was built in 1901, shortly after the dam at Lower Otay was completed. Initially, the reservoir was used only as an emergency water reserve for the Lower Otay Treatment Facility. But in the 1950s Upper Otay was selected to become one of the most important lakes in bass fishing history. 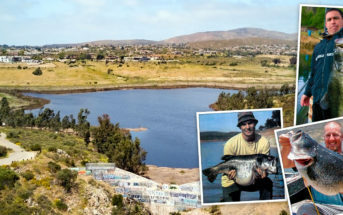 Upper Otay was chosen as the site to serve as a hatchery and introduction point for bringing Florida strain largemouth bass to San Diego. It was chemically treated to kill all existing fishing, and then stocked with pure Florida strain largemouth bass. The first plant was a failure, with most of the fish not surviving the air transportation, and those that did were inflicted with parasites. In May 7th, 1959 a successful plant of 20,400 pure Florida strain largemouth bass fry took place. The population flourished in Upper Otay, and fish from the lake were used to stock many of the other lakes in California, including almost all of the ones in San Diego. Ultimately, 21 of the top 25 biggest largemouth bass ever caught are descendants of the original fingerlings planted at Upper Otay. Upper Otay is open Wednesdays, Saturdays and Sundays from one half hour before sunrise to sunset. Fishing permits can be purchased with cash at the “Iron Ranger” Pay Station, so bring exact change. To check the current rates, visit our “Lake Fees and Permits” page. Permits purchased at Upper Otay can be used on the same day at Lower Otay as well, and vice versa. A California Sport Fishing License is also required for all anglers 16 years of age or older. There are no facilities available at the lake. There is an access road to the lake, but it can close with little to no warning if it rains. If the road is closed, you can still access the lake by parking in the lot below and walking up to the lake.